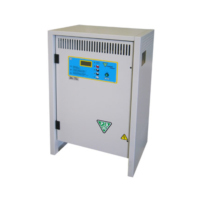 Single-phase voltage 230 VAC 50/60 Hz Frequency. Possibility of adjustment to 220/230/240 VAC. New electronic control with microprocessor AP070 tab. Network Power: 110V/230V. 4 leds for reporting charge status or abnormalities. Electronic circuit laboratory tested to achieve compliance with the directive on electromagnetic compatibility and consequent CE marking. Suitable for nominal battery voltage from 12V to 96V jumper-selectable. 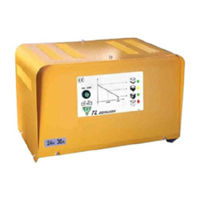 Trimmer for calibration of the threshold to 2, 40V/el. 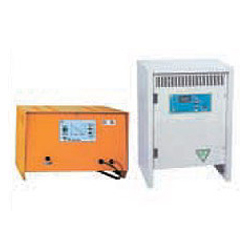 Single-phase charger with Wa, WoWa versions and air pump electronic Control with fault diagnostics. New electronic control AP735 card with microprocessor with fault diagnostics. Polycarbonate panel with clear symbols and immediate interpretation. LEDs of the charging phases or abnormalities. Quick test for verification and timing functions. 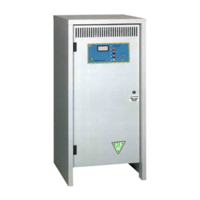 Supply voltage 230/400 VAC 3 phase frequency 50/60 Hz. Possibility of adjustment to 380/400/420/440 VAC. Big power versions are built and prepared for only 400 VAC power. Led signalling charge or phases of the anomaly.